Which would you like to check off your hunting list this year? Bull elk, proghorn sheep, moose, deer, black bear, mountain lion or turkey? All are game in the wilderness lands surrounding Aspen. Mountain lions, bull elk and black bears, oh my! So many animals to hunt. Just be sure to have the proper permits. As always, weather in the mountains is subject to drastic changes, especially in the fall. Be prepared and know your basic survival skills. Hire a guide, or at least talk to a local hunter, to get a good lay of the land, before heading out on a hunt. Aspen's greatest resource is an abundance of adjacent land, undeveloped and protected for conservation by state and private land holders. These are the ridges, peaks and river valleys that outdoorsman have long raved about, making Aspen famous not just for great skiing but also for unparalled fly-fishing. Hunters, too, have reason to find happiness here. Within hundreds of thousands of acres of forest, crisscrossed with trout-rich creeks, wildlife still reigns supreme. With thousands of miles of trails and service roads, Aspen is all about accessibility to the woods. That should make a hunter smile. Hunters must apply for permits for big and small game, as well as gamebird and waterfowl, which are awarded either by lottery or by "over the counter" sales. License fees have resident and nonresident rates (these are significantly higher than resident rates). Licenses can be purchased from Colorado Department of Wildlife. Remember: it's your responsibility to know how to hunt safely, legally and ethically. Hunter safety cards and blaze orange outerwear are mandatory for hunters. Generally, open season dates begin in late August with the season closing in late November. Confirm dates when you purchase your license. 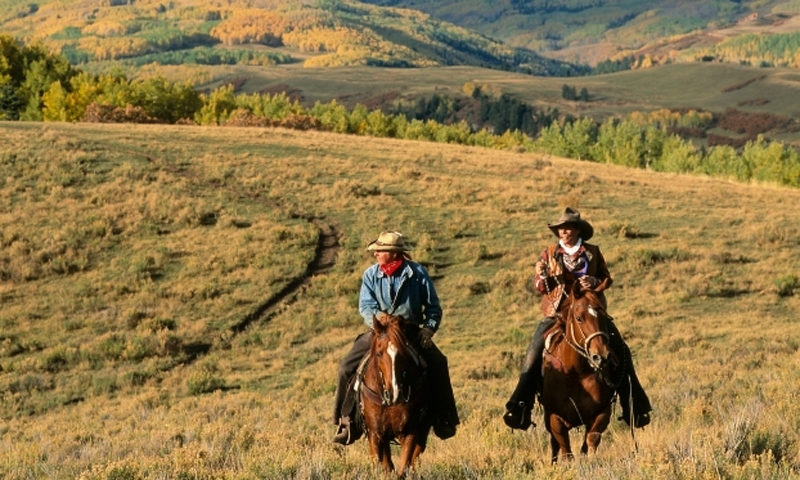 Looking for an authentic Western experience and tried-and-true local expertise? Hire one of the many state-certified outfitters and guides to help you navigate the terrain. The Sierra Club preserves the tradition of hunting and fishing. Learn more about preserving bow hunting in Colorado.